Can we all just take a moment to admire these gorgeous boots!! Embroidery has become THE hottest trend, back in September/October a few pieces started to appear in stores which mainly stemmed from the patching trend. 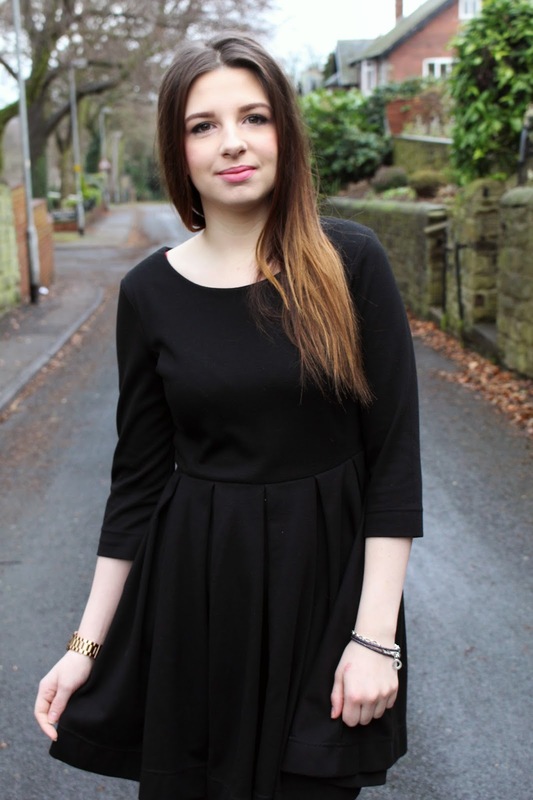 I'm not one for something quite bold and a statement, its not me, I much prefer subtle pieces as I like to be a sheep and follow the crowd rather than standing out; however I love a good trend and if done correctly I will buy my fair share of pieces. 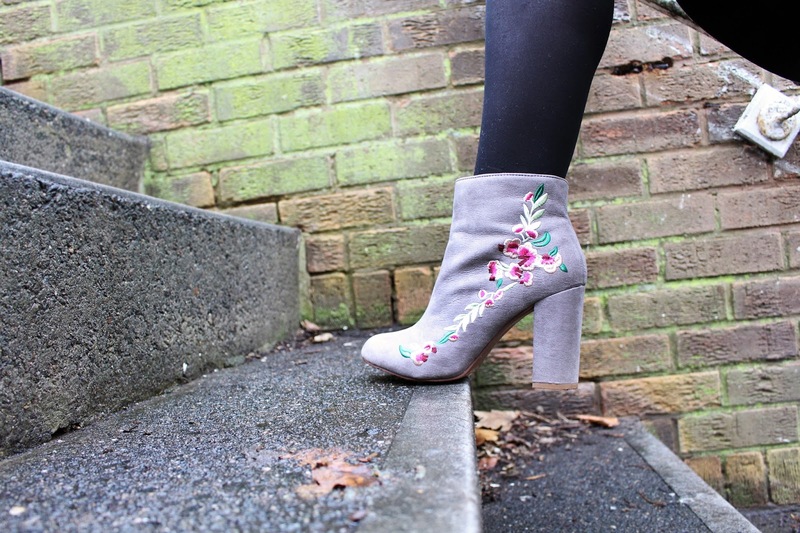 After scrolling through my Instagram, I came across these embroidered boots on Primarks account (yes, I still cannot believe that these beauties are from Primark! ), more often than not I never find any products in store that they push out on social media, either they are located at bigger cities or they are so popular they sell out! Well it was like Primark knew I was visiting, only two pairs left in my size and we all know what you have to do when this happens, they obviously came home with me. I honestly don't think I have ever owned a more beautiful pair of boots before, I tend to stick with the boring black boots as they go with everything. 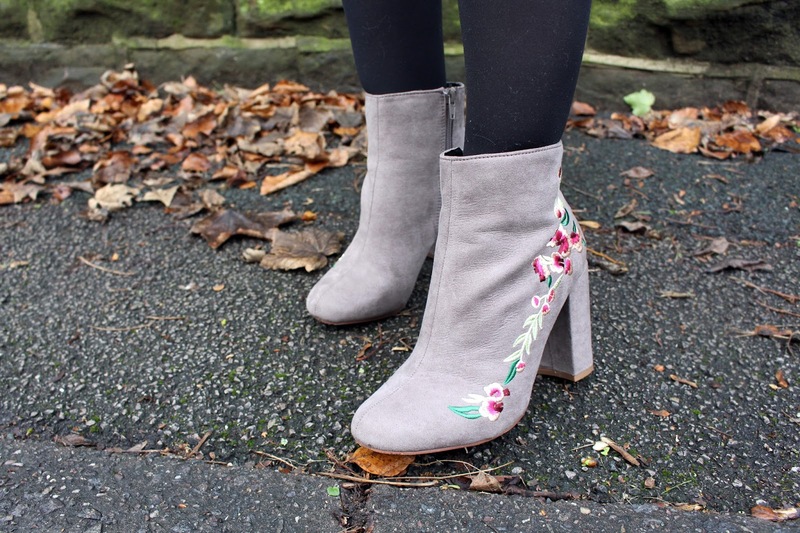 Being suede makes it a little more difficult to wear in the winter as I am too afraid that they will get ruined in the weather but I am so excited to being able to wear them in the summer with dresses and skirts! Are you a fan of the embroidered trend? Those boots are exceptional girl! You look so sassy & ready to take on the world!